Lord's Taverners Christmas Lunch with NIgel Farage - no thank you ! Although I am not a Full Member of the Taverners I do receive details of events and have attended some in the past. This privilege comes from my Life Membership of the “Brian Johnston Memorial Trust”. I have received information about the Christmas Lunch to be held on 2nd December and note that Mr Nigel Farage will be the Guest Speaker. The Taverners is and has to remain apolitical. This does not of course mean that those who pursue political careers should be debarred from speaking to us. But in all cases such invitees must, I would submit, have demonstrated some involvement in cricket of a significant nature to be invited. Mr Farage is, I know, a cricket fan. But this alone does not, in my view, qualify him to speak to us. Indeed the only reason can be his political position. That I find distasteful. Mr Farage and the Party he leads are extremist and have views and values which I would suggest are incompatible with the “Spirit of Cricket”. However subtle he may be is hiding his views on 2nd December (not very would be my guess) his presence can only be seen as a recruiting exercise for his obnoxious Party. I have the choice of staying away on 2nd December but I feel that I should make a stronger protest than that. So with immediate effect would you please remove me from any lists you hold, send me no more information about Taverners’ events and cease contact completely. I will be speaking to Richard Anstey to tell him that my decision in respect of the Taverners in no way affects my commitment to and support for the BJMT. Great privilege to be at Trent Bridge for every day of this Test Match. Our sensationalist over-trivialised culture looked for scandal and headline-grabbing events and issues. What they should have done was concentrate on the superb cricket, the ebb and flow and in the main the sportsmanship. Zero marks to the ghastly England and Wales Cricket Board (ECB) for their hideous attempts at faux-patriotism. The foolish "#RISE" slogan and it's childish and insulting video was bad enough. We've come to expect the ludicrous "Jerusalem" at the start of every day (has anyone actually read the preposterous words of this awful hymn?). But the depths were plumbed after lunch on the final day. The crowd was hushed - the atmosphere could have been cut with a knife. Australia needed 20, England one wicket as the teams emerged. What did the woeful ECB do? They played three (yes three) patriotic songs complete with operatic tenor. "Land of Hope and Glory", "Rule Britannia" and some demented song related to their #RISE promotion. 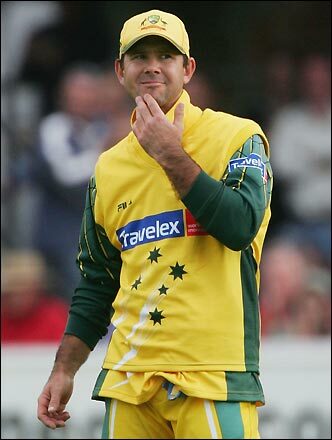 Patriotism is the last resort of the scoundrel - and there are plenty of scoundrels in the ECB. The #RISE nonsense is not just partial but actually insulting to our opponents. It takes two to make a contest and one-sided chauvinism of this type is vulgar and demeaning. But nothing could excuse the grotesque decision, at the key moment in the match, to drown the crowd with jingoistic display. Whether the Aussies were bothered I've no idea - perhaps they rose above it. But I was deeply ashamed. The language of Sport – only mangle the grammar if you have to! There is no reason at all why the grammatically correct “Australian” could not be used here. 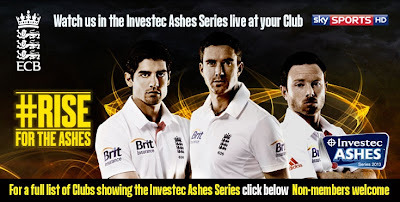 The entry is defined as being about Test cricketers so there is no doubt what we are talking about. “List of Australian Test cricketers” would have exactly the same and equally unambiguous meaning – but it would be good grammar as well – why not use it? Wimbledon – count me out ! In the Daily Telegraph Peter Oborne decries the middle-classness of tennis. I agree with him 100%! As a sporting nutcase I'll go anywhere anytime to watch it played at the highest level. Silverstone last week. Trent Bridge this. And I believe that when it comes to one-to-one sporting combat nothing can beat tennis. It requires fitness, nerve, creativity and (in the man's game anyway) cojones of steel. I have been to Wimbledon a couple of times many years ago but despite my admiration for tennis and tennis players I haven't been back. As Peter says it is played and watched live by a very narrow cohort indeed. We are very good at putting on tournaments where the privileged can go along, eat their strawberries, display their jingoism and have a jolly time before going back to Esher, and Tunbridge Wells and boasting about it. Class defines British sport as much as it ever did. I go as often to White Hart Lane as I do to Twickenham – the cultures are dramatically different. To start with spectators at Spurs are far better behaved than they are at Twickenham! Seated in my expensive seats at the Home of Rugby I would say I would have to make way for others in my row at least a dozen times in the hour and a half of a game – and during play not just at half time. They drink cold, over-priced swill continuously and they replenish their glasses and empty their bladders without giving a stuff for the spectators like me they disturb. This never happens at the Lane – drink is banned beyond the bar areas and anyway people are predominantly there to watch the football. All too many in the expensive seats at Twickenham are beneficiaries of the malignant Corporate Hospitality syndrome. Piss-artists with one eye on their glass and perhaps one occasionally on the field of play. Back to Wimbledon. It and the English tennis establishment that surrounds it is an abysmal failure when it comes to the production of decent British tennis players. It’s been so for decades. Andy Murray owes nothing to the LTA – his progress was almost entirely separate from what purports to be Britain’s tennis academies and coaching set-ups. He is our only man in the world top 100. Spain and France (for example) each have 13! Is the class exclusivity of tennis to blame? Well what other reason is there? Facilities are concentrated in areas that can afford them and the costs of being a club member (never mind the social elitism) are unaffordable for many. Do state schools have tennis courts, coaches and a proper system of talent spotting? Ha! British tennis is a shameful mess – decades of incompetence and neglect have made us an also ran on the world stage. Our Davis Cup record is deplorable for a nation of 60million – and the one that invented the game! So I won’t be going to Wimbledon to rub shoulders with the self-satisfied elite who frequent it or who sit on the preposterous “Hill” bawling their support for somebody, Andy Murray, who owes them nothing at all. I was lucky enough to be at Ellis Park in 1997 for the third and final match between the British Lions and South Africa on that year's momentous tour. I was lucky for two reasons. First if was a privilege to attend a match at one of the world's finest sports stadiums. I was not disappointed. Secondly it was an honour to acclaim a truly great Lions team who came into the match 2-0 and are the last Lions team to win a series. Will Sam Warburton's 2013 team join them next Saturday? I doubt it. At Ellis Park in 1997 the Springboks had a narrow 13-9 lead at half time. The Lions had played well but early in the second half it became clear that they had, wholly understandably, run out of steam. A long tour was taking its toll and South Africa eventually ran out 35-16 winners. It was no disgrace for the Lions but they were beaten by two main things. The Springboks were determined to get a consolation win and the cauldron of Ellis Park, in front of a fanatical home support, was the ideal place to do it. And the Lions, at the end of a long tour, were pretty knackered ! Roll forward to Sydney next Saturday - the stadium and the home support will not be unlike Ellis Park. The prize for the Wallabies is a series win so even more than the Boks in 1997 they will be up for it! 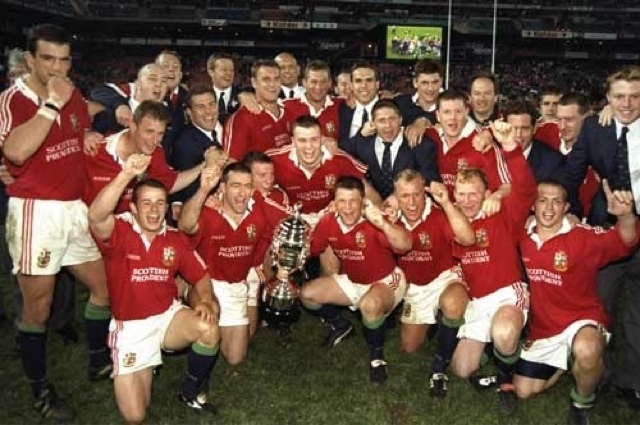 And the Lions are, as they were in '97, at the end of a gruelling tour which has seen many withdrawals from the squad through injury, including now (it seems likely) their captain. The hype will be there and the support will be great. And there will be no lack of motivation that's for sure. But can the Lions raise their game for one last supreme effort? It will be a remarkable achievement if they can - but the odds are against it. I hope I'm wrong.